Late summer often brings an ebb in flowering in everyone's garden. Not here. Late summer is one of the most interesting seasons in the Fuqua Orchid Center. Now is the time to see stanhopeas, anguloas, miltonias, catasetums ...and lots of Cattleya maxima, an outstanding late summer species. 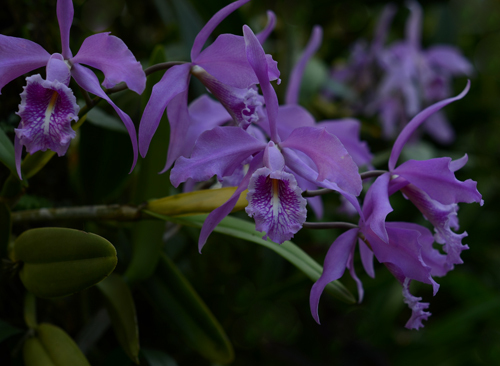 Cattleya maxima grows as an epiphyte or occasional lithophyte in lowland and highland forests from 10 to 1500 meters in Venezuela, Colombia, Ecuador and Peru. In the southern hemisphere (where long days coincide with Christmas) it is known as Flor de Navidad, the Christmas Orchid.